Labrador Retrievers have been the most popular dog breed in the United States for nearly 30 years, and Golden Retrievers are consistently the third-most-popular dog breed, so it’s only natural that a mix between these two breeds would be a popular choice. Is the Goldador (Golden Retriever Lab Mix) right for your family? Let’s talk about this friendly hybrid dog’s characteristics so you can decide if the Golden Lab is the family dog you’ve been looking for. Since Goldadors are hybrids, they don’t necessarily have their own history or origin. With that being said, Guide Dogs for the Blind in the UK is a proponent of the Golden Retriever Lab Mix, calling them “the most successful guide dog of all, combining many of the great traits of both breeds.” The United States also seems to lead the world in popularizing hybrid dog breeds like the Golden Lab. Since Goldadors don’t have much of a history themselves, let’s look at the history of the parent breeds: Golden Retrievers and Labrador Retrievers. Golden Retrievers were developed in Scotland in the early 1800s to retrieve game (mostly birds) from both water and land. They were introduced to the United States in the early 1900s and gained popularity after President Gerald Ford had a Golden Retriever named Liberty. Meanwhile, the Labrador Retriever was developed in Canada for a similar purpose as hunting and retrieving dogs. 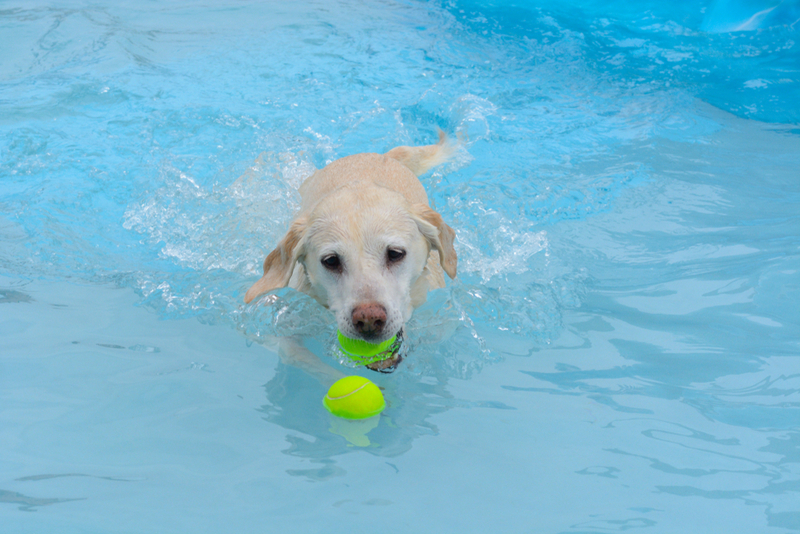 They were specially developed to retrieve fowl from water, and they love to swim as a result. READ MORE: Labrador vs Golden Retriever: What Are The Differences? Since Golden Retrievers and Labrador Retrievers are similar in size, the Golden Lab is one of the most consistently-sized hybrid dogs. You can expect your Goldador to weigh between 55 and 80 pounds, with males being heavier and females being lighter. Both Goldens and Labs are prone to obesity, so if your Goldador weighs more than 80 pounds, talk to your vet about whether your dog is large for their breed or if they are overweight. Obesity causes many of the same health problems in dogs as it does in people, and it can take a year or more off your dog’s lifespan, so it’s important to monitor your Goldador’s weight. Since Goldens and Labs have similar personalities, you can predict that a Golden Retriever Lab Mix will be a very friendly dog with lots of energy. Labrador Retrievers tend to be a little more hyper and goofy, while Golden Retrievers tend to be a little more laid back, so a Golden Lab may have a temperament anywhere from calm to goofy. One thing you should know is that since Goldens and Labs are both retrievers, Goldadors are very mouthy. They like to have things in their mouth, and if they don’t have enough toys, they may decide that your shoes or your child’s arm belong in their mouth. Make sure to train your Golden Lab to help them understand what is and is not appropriate to put in their mouth. Under normal circumstances, the hybrid vigor theory suggests that dogs that are the product of two different breeds will be healthier than either parent breed. Unfortunately, Goldens and Labs are prone to many of the same health issues, which means that Golden Retriever Lab Mixes are still prone to those same health issues. The one difference is that Golden Retrievers are significantly more likely than Labrador Retrievers to die from cancer, so the addition of Labrador Retriever to the bloodline may reduce a Golden Lab’s chances of dying from cancer. Respectable breeders do health testing on dogs that they plan to breed to reduce the likelihood of passing on bad genes and health problems. Avoid buying a puppy from a pet store or puppy mill since those puppies are more likely to suffer from health problems as a result of poor breeding practices. Luckily, Goldadors are a relatively low-maintenance breed. They don’t need extensive grooming and they’re fairly easy to train, although they do need quite a bit of exercise. 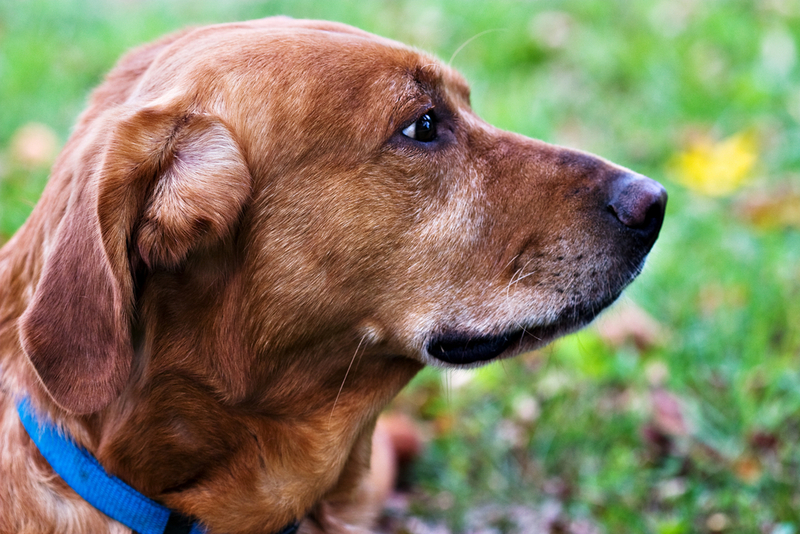 Let’s take a closer look at how to care for a Golden Retriever Lab mix. Low-quality food can lead to more health problems in Goldadors and other dog breeds, so it’s important to pick a good food with a minimum of filler to keep your Golden Lab as healthy as possible. Look for real meat as the first ingredient and avoid foods that include “byproduct” ingredients. 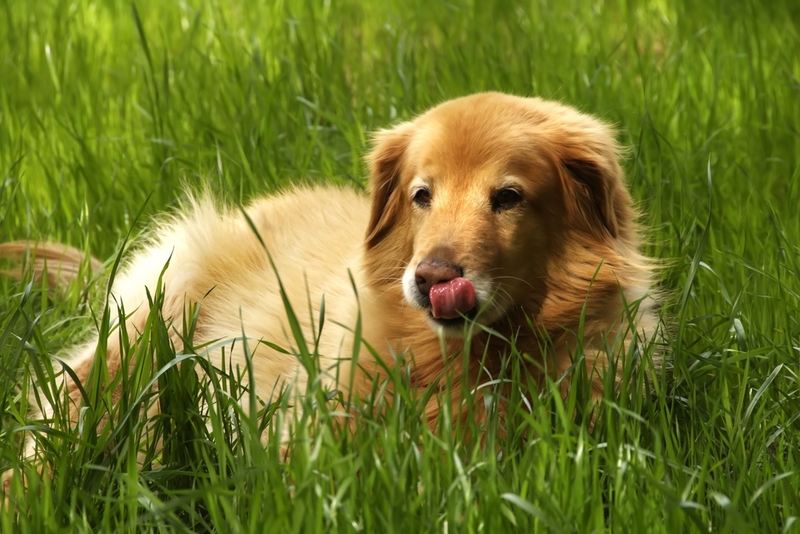 For more information on how to pick a great dog food for your Golden Retriever Lab Mix, check out our article on the Best Dog Food for Labs. 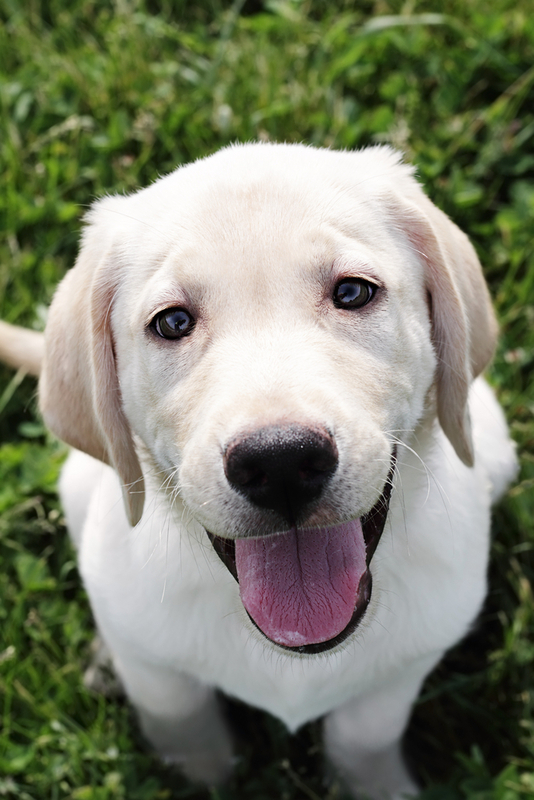 Both Golden Retrievers and Labrador Retrievers were bred to work all day, so they have a lot of energy to spare. As a result, Goldadors need at least an hour of exercise every day. This may involve a long walk, plenty of fetch, or a run around the backyard or a dog park. Golden Labs that don’t get enough exercise are bound to become bored, anxious, or destructive, so make sure you can dedicate plenty of time for exercise if you bring a Golden Lab into your home. Goldadors are very intelligent and eager to please, which makes them relatively easy to train. They may get bored after too long, though, so limit training sessions to no more than 15-20 minutes at a time. Positive reinforcement with treats or a game of fetch as a reward is the best method of training a Golden Retriever Lab Mix. Since Goldadors are such people pleasers, punishment can make them sullen and unwilling to comply with your directions. Whether your Golden Retriever Lab Mix has short hair like a Lab, longer hair like a Golden, or something in between, you can be sure they will shed quite a bit. You’ll want to brush your Golden Lab at least once or twice a week throughout the year, and as often as once a week during the shedding seasons. If your dog’s coat is short like a Lab, you’ll want to use a rubber curry brush. If your Goldador has longer hair like a Golden, a slicker brush is a better bet. Check out this article on the 13 Best Dog Brushes and Deshedding Tools for LARGE Dogs for more specific tips on what brush to get for your Golden Lab to help get loose hair off your dog before it ends up all over your house. You should try not to wash your Goldador more than about once a month to prevent drying out their skin, although you should always rinse them off after a swim. One other important note about grooming Goldadors is that they are highly prone to ear infections, so you should plan on cleaning out their ears at least once a week. You can also put cotton balls in their ears before a bath or swimming to help prevent water from getting in the ear canal and causing an infection. Goldadors are not a very popular hybrid dog breed yet, so it may be difficult to find the right one for your family whether you choose to rescue an adult or buy a puppy. If you would prefer to adopt a Golden Lab, you can check out shelters, Golden Retriever Rescues, or Labrador Retriever Rescues. Many Goldadors come from pet stores and puppy mills, which breed dogs in terrible cramped and unsanitary conditions for the sole purpose of making a profit on the puppies. These dogs tend to have more health and behavioral problems than puppies raised by responsible breeders. Even though you may believe you are “rescuing” a puppy from a puppy mill, you’re actually supporting these bad breeders and encouraging them to enslave more dogs to be breeding machines. The breeder should allow you to come to their facility and meet at least one of the parent dogs. Breeders should have certificates proving they’ve done various types of health and genetic tests on their breeding stock to show that they are interested in the health of the puppies. The breeder should ask you plenty of questions to ensure that their puppy is going to a good home. The facility should be clean and the dogs should all have access to the outdoors and room to run. Many responsible breeders would prefer to maintain the bloodlines of their Golden Retrievers or Labrador Retrievers, so it may be very difficult to find a reputable Goldador breeder, but you should try to avoid supporting an irresponsible breeder in your search for a Golden Lab puppy. For quick reference, here are answers to some of the most popular questions about Goldadors. Yes, since both Golden Retrievers and Labrador Retrievers shed, Golden Labs also shed. They should be brushed at least once a week to help reduce the amount of hair your Goldador leaves around your home. Do Golden Retriever Lab Mixes like to swim? Golden Labs LOVE to swim! Both Labs and Goldens were bred to retrieve game from water, so your Goldador will always be up for a good swim. 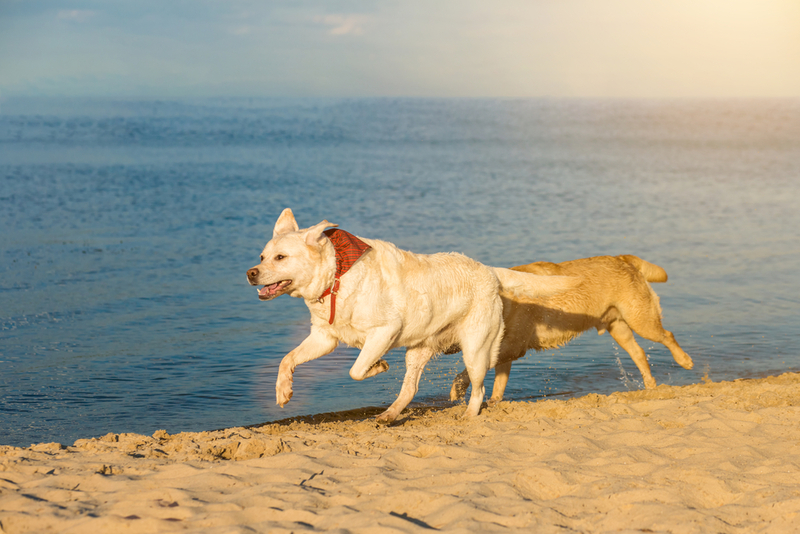 A word of caution though – thanks to their drop ears and love of swimming, Golden Retriever Lab Mixes are highly prone to ear infections. You should use an ear cleaner made for dogs at least once a week and after every bath or swim session to help reduce the odds of your dog developing an ear infection. How much energy to Goldadors have? 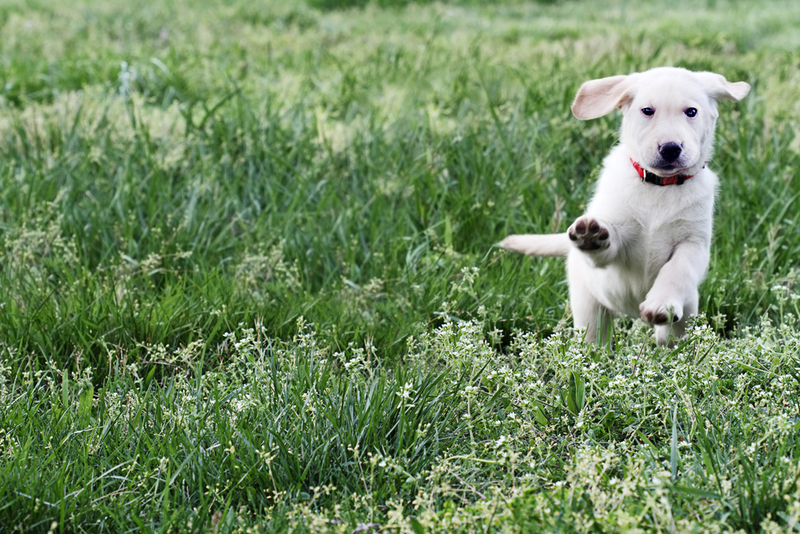 Golden Retriever Lab mixes have a lot of energy and need at least an hour of exercise every day. They do best in a home with a large, fenced backyard that they can run around in, but they can be OK in an apartment or a condo with a long walk or a trip to the dog park every day. A Golden Lab that doesn’t get enough exercise is likely to become destructive, so you should carefully consider whether you have enough energy to exercise a Goldador before bringing one into your home. Do Golden Labs benefit from “hybrid vigor”? Unfortunately, Labs and Goldens are prone to many of the same health issues, so they don’t benefit much from hybrid vigor. One possible good thing is that Labrador Retrievers are less prone to cancer than Golden Retrievers, so Goldadors should be less prone to cancer than purebred Goldens. While Golden Retriever Lab Mixes have a lot of energy and need a lot of exercise, they make great family dogs if you can give them the exercise they need and you don’t mind hair on your furniture since they can shed quite a bit. As a mix between two of the most popular dog breeds in America, the Goldador is likely to become a rising star in the world of hybrid dogs thanks to their loving personalities and easy trainability.